Don't you think that Jeff Monson is much smarter and more educated than John Kerry? McCain wants faster NATO integration of Moldova...do Moldovan citizens want that too? "US Senator McCain Wants Faster NATO Integration Of Georgia, Moldova"
St. George's Ribbon Actions in Moldova. 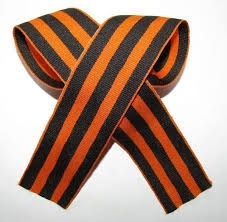 The St. George's Ribbon as a symbol of pro-Russian and Anti-Fascist sentiment.